Wow. That's what I think of this book after reading it. I didn't read the first book in the series, but even without reading it, I didn't have any troubles to understand the story. I loved the fast pace and the romance too. I loved the characters and not just Matt and Laney. The story was well made and now, I am just waiting for the third book to be published. At the end of the book, we still don't know yet if the brothers will succeed or not even if they're getting closer. 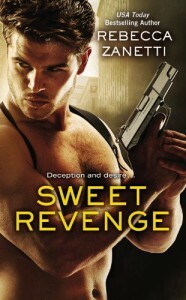 I am at a lack of words to describe how good this book can be, so if I had only one thing to say about Sweet revenge, I'd say you need to read this series because you won't regret it.